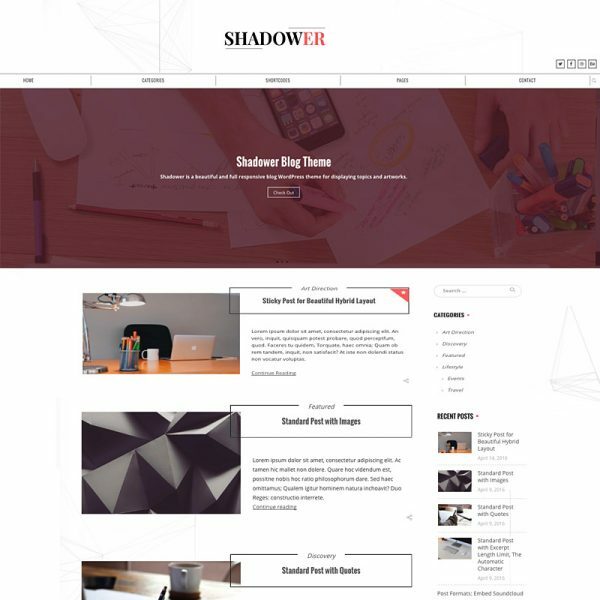 A simple blog & portfolio WordPress theme. It is fast and easy switching simply by clicking a mouse. Backstage as a whole is able to customize easily. Finally, put a shortcode anywhere you like, even outside of all. 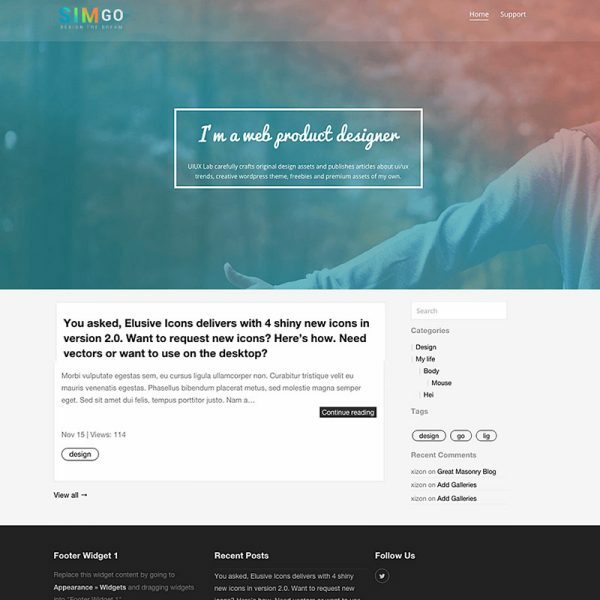 Simgo can be used for portfolio, blog, personal website. Custom Slides and Header Background Color. Fully responsive, allowing visitors to access your site on any device, from mobile to desktop. Page templates are included with the theme for additional layout options. In addition, Natural features a social media menu, a slideshow, footer widgets, and more. 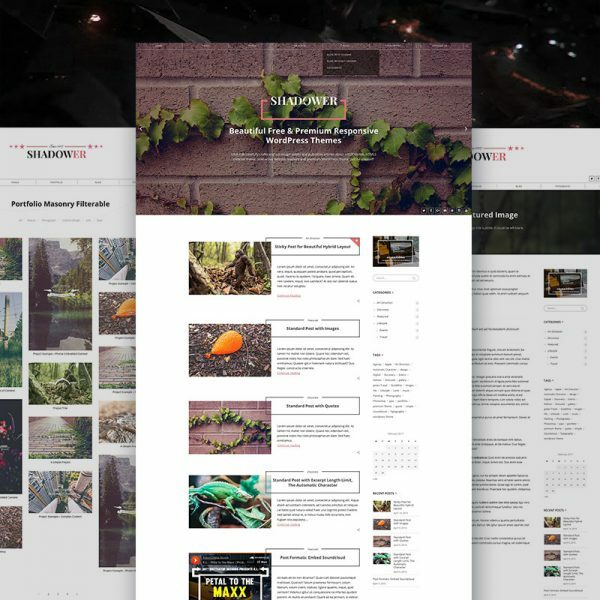 Affinity supports prominent Featured Images on the blog, and single posts and pages. Supports a handy Social Links menu, which appears in the footer. * Improved the running speed.